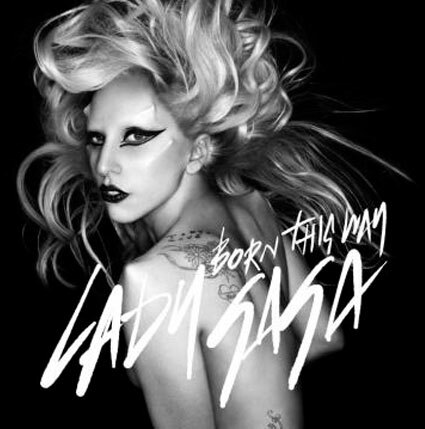 Lady Gaga’s long-awaited single, Born This Way hits shelves in a matter of days, and now the outlandish songstress has released the very first sneak peak of the single cover, to her little monsters on Twitter. Lady G has been hard at work putting the finishing touches to her second solo soundtrack, and now the first song is almost here. And in true Gaga fashion, she just could wait any longer, and released a tiny snap of her brand new single cover to fans on Twitter, just days before the release. ‘Can’t wait any longer, single coming Friday,’ she wrote to fans, before posting a snap of the moody, black and white artwork, with a caption, which read: ‘Trois Jours’ (three days). Born This Way hits airwaves on Friday. We. Can’t. Wait. Are you looking forward to the release of Gaga’s brand new single? What are your thoughts on the cover? Let us know your thoughts in the comments box below.